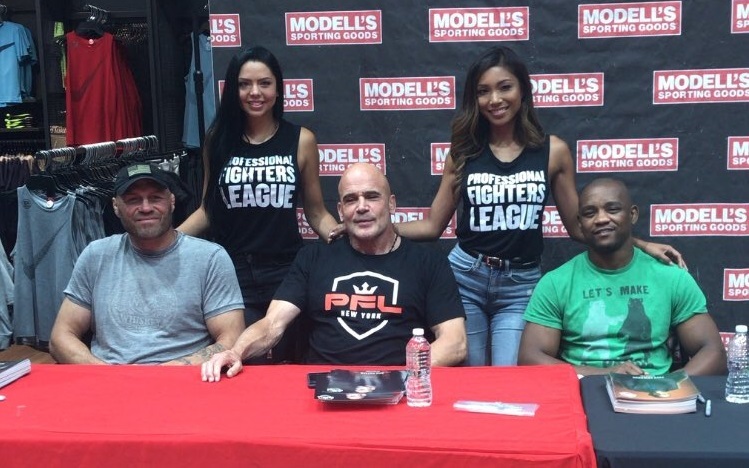 UFC Hall of Famers Randy Couture and Bas Rutten were at yesterday’s Professional Fighters League meet and greet. The duo were joined by another legend in the sport of mixed martial arts, Yves Edwards. 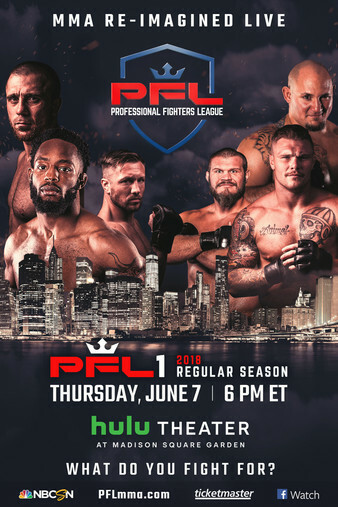 I had the opportunity to ask each of the three a variety of questions before Thursday night’s historic PFL first season kicks off at Madison Square Garden in New York. What was your first reaction when you found about the PFL? If you were entered in this tournament, what would your strategy be? Edwards: “For me, I don’t believe you really change anything, you have to do what you do that got you there. But in doing that, I didn’t take a lot of damage in fights, you have to prepare for the best guy at all times. I believe that is the best thing to do in this situation is, prepare for the best guy at all times. Yes you know what the guy across from you does, you know what his tendencies are, you know what his stregnths are, you prepare for that but you prepare for that from the best guy, someone even better than him. If his strengths are jiu jitsu, you prepare for the best jiu jitsu but you still prepare for the best kickboxer. Because you never know, you stuff his takedown, you get a little sloppy on your feet because you’re comfortable, because this guy is a jiu jitsu guy and you get kicked and knocked out or you take too many leg kicks and now you can’t train properly to prepare for the next round even though you won this fight. What type of strategies do you think we’ll see in this tournament? If you were one of the fighters, how closely would you look at what other fighters are doing in your division? Would you pay attention if someone got a finish or a decision because of the point system and if so, would that change your strategy at all? Edwards: “That definitely depends, I don’t think I should be too concerned about that on the first night of the regular season because then that kinda gets in your head. Take that back home with you and worry about that the next round because when you go out there to fight you’re going out there to win. Virtually every guy that I know is going out there to finish you as soon as they can. 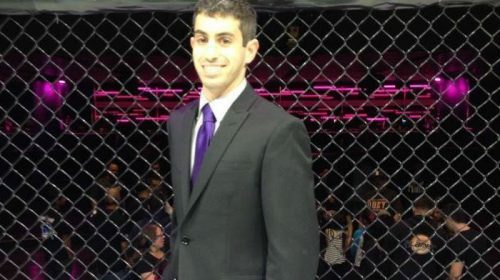 Jon Fitch goes out there to finish guys as soon as he can, his style just doesn’t lend to that. What fight are you most looking forward to on Thursday? Is there someone people are overlooking this season? Rutten: “I don’t, I think we’re trying to give everybody (an opportunity). Andre Harrison, if you look at him, he’s 17-0, the guy is a stud, he’s an unbelievable fighter. Do they really have an idea of how good this guy is? We’re going to find out on Thursday. Edwards: “I don’t think anyone is being over looked because it’s merit based. When you perform you get rewarded. So I don’t think anyone can be over looked. Guys may over look their next opponent in their next bout, they think they have an easy win. But that happens all the time. As far as the entirety of the league, I don’t think anyone is really being over looked. I think guys are considering their strengths verse their potential opponents maybe thinking, yea if I fight this guy, his striking good but his ground is horrible so that’s why I asked to take that fight and once I take it to the ground it’s over for him. Do you think the possibility of winning a life-changing amount of money adds extra pressure to the fights?